Hello and welcome to my blog. On the 31st July 2014 I was diagnosed with Young onset dementia. I may not have much of a short-term memory anymore but that date is one I’ll never forget. I’m 62 years young, live happily alone in Yorkshire, have 2 daughters and I continued to work full time in the NHS until the end of March 2015, when I chose to take early retirement to enable me to enjoy being me while I’m able. I have never ‘tweeted’, ‘blogged’ or ‘facebooked’ in my life but since I was diagnosed, everything else in my life has changed, so why not this. I hope you find my ramblings of interest. I started this blog to allow me, in the first instance, to write all my thoughts before they’re lost. Luckily the part of my brain that allows me to type hasn’t broken yet and I find that easier than talking. I have calendars that take care of the future but this blog serves as a reminder of what I’ve done and said in the past – it now serves as my memory. If anyone chooses to follow my ramblings it will serve as a way of raising awareness. It will hopefully convey the helplessness of those diagnosed with dementia, as there is no cure – the end is inevitable. However, I’m also hoping I can convey that, although we’ve been diagnosed, people like me still have a substantial contribution to make; we still have a sense of humour; we still have feelings. I’m hoping to show the reality of trying to cope on a day-to-day basis with the ever-changing environment that dementia throws at those diagnosed with the condition. Living as well as you can with dementia is all about adapting. Adapting to new ways to enable us to live better for longer with dementia. I can type as though dementia never entered my world as that part of my brain has not yet been affected, but that often works against me as people question my diagnosis. All I can say is, live a day in my shoes and I’m sure the reality will dawn. What I want is not sympathy. What I want is simply to raise awareness. I’m now the proud author of the Sunday Times Best Seller, Somebody I Used to Know, which just goes to show, you should never give up on yourself. Click on the ‘Blogs’ tab to see what you’ve missed and then click to ‘follow’ me if you’d like to receive my daily blogs in your inbox. 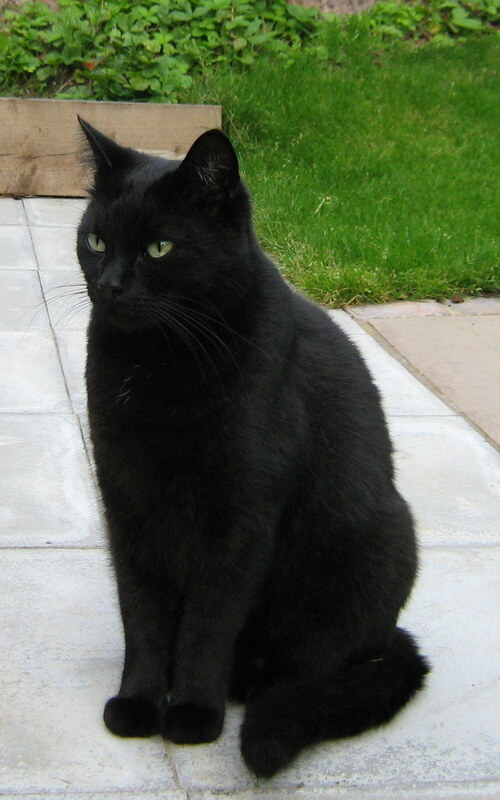 Billy, my daughter’s cat – a calming influence in my life. Just finished reading your book, Wendy. I wanted to gain some insight so I could help support my friend who has been diagnosed with Alzheimer’s. My first thought now is to phrase things differently, saying she is living with this disease. Such a lot of helpful, empathetic ideas contained in your very personal story. Thankyou for sharing it. A wonderful achievement & I think your attitude to be able to express some of the positive lessons & experiences you have learned from living with this illness will give hope to others. Most especially I commend you for the thoughts on Page142-3 ‘grateful for the present…. holding on to what we have, because that’s the only thing we truly know about….. a sense of what Alzheimer’s can give, not just take away.’ This is a prudent message for us all, not just for those trying desperately to live a purposeful life despite the fear that this disease evokes. We must learn to show more consideration & understanding for our fellow humans. We must try to do whatever we can to make them feel less vulnerable in their courageous battle to live their lives to the best of their abilities. I shall be recommending your book & blog to friends & family. Thankyou Wendy. I have just read an Article in Woman & Home and was so inspired by your story and your courage.And by what you are doing by shining on a light on dementia…I look forward to reading your book to learn more! I have just finished reading your book ‘Somebody I use to know’. Wow what a truly inspiring book and you have helped me with my understanding now of what it is like to have dementia. Having a mother in law with dementia I now can see why she does or says certain things. Thank you so much Wendy. I have just finished reading Someone I Used to Know. I only wish I had read it in time to better understand my friend and fellow Grandma, who lived with Dementia for several years until her recent death. I have suggested to my family that they read it too, just in case they need to know. I just realised I made an error in my recent comment in the title of your book, for which I can only apologise. Hello Wendy. I have just finished reading your book in one sitting. My 87 year old Mum is in care and has Vascular Dementia. It has been a very hard and difficult journey over the last few years. Thank you for being the inspiration you are to others and shining a light on Dementia. You have confirmed what I have suspected. My Mum may not remember or understand what is happening around her but she can feel love and comfort. May God bless you and give you peace. I have just finished your book, and want to say how much it has helped me to better understand this condition. I have worked as a volunteer at a residential home, and there are many persons there suffering the later stages of dementia. Your book has given me so much more confidence in befriending these people. It is so good to know that kindness can still get through to what often appears a blank canvas, and can make a difference to confused and lonely lives. A big God bless. Kathleen. Hello Wendy – I hope you don’t mind me calling you such but feel I know you having read your book. My husband was diagnosed with BV frontemporal Dementia about five years ago. His memory issues are not quite the same as Alzheimer’s but his recognition is very poor. He gets confused and easily distracted. Your book has helped me to understand mental health especially as the NHS have left us to our own devices since the initial tests and scans. It’s difficult for Carers as well as those with dementia but will try and be as understanding as I can after knowing how you have lived with this awful disease. Thank you. Thank you for the Yorkshire hug. I’ve just read your blog Trundle to York. You mention a discussion about blue badges. I do hope there’s a chance it will be approved. My husband can easily walk but is completely unable to locate our car in the car park. I looked into getting one a few years ago (a suggestion from an Admiral Nurses pamphlet) but it was obvious he would be refused as he is certainly mobile. I have lost him in a Tesco car park (and in the shop too for that matter) fairly recently so hope it would help parking closer to the shop. I keep my fingers crossed. I have recently started reading your inspirational book. You Must be an incredible lady. I have a special affinity with your book as my mum has had dementia since she was 58 ( now 74). I would love to meet you in person, is this possible? Hi Wendy, I have read your book it was a great read and helped me to understand clearer about the disease. just recently being diagnosed with Alzheimer’s at 54 is quite scary, so your book made me more positive rather than negative as there is a lot of negativity out there about Dementia. I have now passed your book to my Mum to read as she keeps asking me how long I have left? At this moment I struggle some days with my diagnosis, but when I think of you, you inspire me, I am a strong person and I will fight for as long as I can, some days are a struggle but I have the good days too, so I try to hold on too my good days and bin the bad ones. Drar Wendy. Thank You. Excuse me for my bad english. I just read your bok and i am crying, crying and crying. I am a 55 years old women having a stroke 1,5 years ago and i have not been diagnosed demens but i can really recignice myself in your Word. That You wrote aboute the small changes in your memory and Wayne to handle the changes. Also the Wayne You describe your self when You were healty. It is almost reading about me. For me it CAN be residual symtoms afternoon the stroke but the neurologist say it isnt. On tuesday next week it is time for me for a x-ray (computer tomography) to exclude demens but i am not sure that I can exclude it. I am really like You, i am expert in solving problems and You have in your book showed me that it is possible to displace the disease. With the right attitude. Thank You again. Wendy, you are a true inspiration to so many! Thank you for sharing your story. Hi Wendy , I just listened to you being interviewed in the radio as I was driving this afternoon and it was wonderful to hear you talking so openly about yourself . It helped me and made me feel hopeful for whatever my life may bring . I just finished your book and wanted to tell you how much I loved it, and how much I learned from it. I am 46, and have a rare and aggressive cancer that has left me with lots of time to read, and a desire to seek out others whose path has been disrupted by disease. My favorite quote in your book was the lady who wrote to you, thanking you for keeping “your tail lights on.” This I think is the task of all of us who face the challenge of early decline, to keep going forward, with our lights on. Thank you for sharing your journey with us all, and much love from Australia. I just stumbled across your book when using cloud library for the second time. My mum has early dementia and l found your story held me right to the last page. Thank you for giving so much of yourself. I am going to buy your book for my father and brother, it will let them understand what my mum and us as a family will experience. 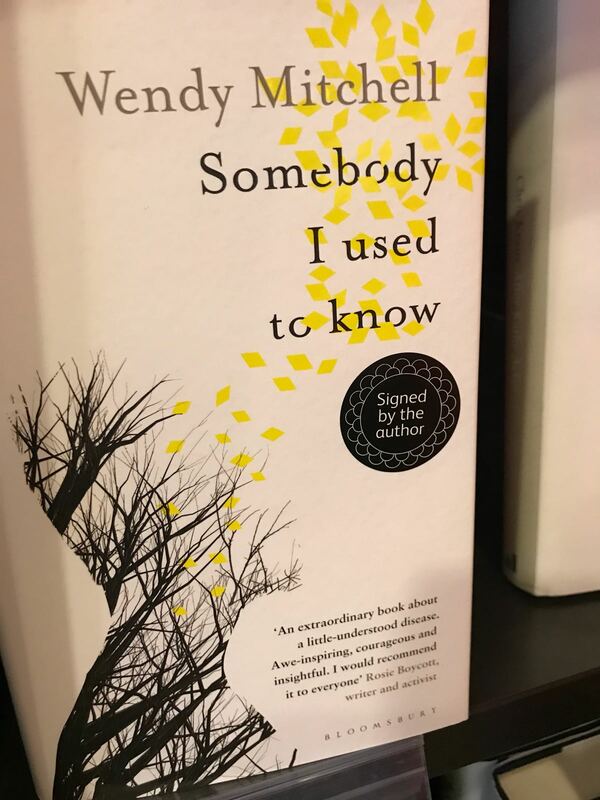 Oh Wendy, how I wish I had read your book,”Somebody I used to know”, while my mother was still alive! You have explained so much that was a mystery for me before as I had very little understanding of what it was like for her living with Alzheimers. Soon after she died my husband started losing his short-term memory. Six years on he has still not been officially diagnosed but almost everything you write about is apparent in him. It is as though the medical profession doesn’t see the point in giving him a diagnosis as they can’t offer any pills or surgery. So we carry on as best we can. I want to do better this time and your marvellous book will really help me. THANK YOU! We have a saying here in New Zealand “Kia Kaha”, it means stay strong. Kia Kaha Wendy and thank you! Hi Wendy, Ive just finished your wonderful book. Thank you. My Dad is living with Dementia and your insights have really struck a cord with me. Giving the book to my mum and siblings now. Wishing you more good than foggy days and you are able to continue to enlighten people like me. I’ve just finished your amazing book. So very interesting & informative. My father had dementia from 72 & I believe I’m maybe showing signs not very noticeable yet. Your book confirmed my fears & I am determined to follow your ideas thank you. Just finished your very readable and inciteful book Wendy. Last year l had an unexpected lung cancer op(non smoker) which look in my stride .. what else can you do..? Wendy…I met you in Ealing yesterday (3rd April) at Dementia Concern’s away day and I was so emotional you offered me a hug. I cannot put into words how inspiring and moving listening to you was. I think you have a gift to speak to the hearts of others and I am so happy you are sharing your gift with the world. You are truly a blessing and your daughters are amazingly lucky to have you as their Mum. Wishing you all the love in the world. You are an individual I will never forget. I’ve just finished your amazing book, Wendy – what an accomplishment! It’s not the kind of book I would normally look out for, but I could barely put it down and found your positivity and courage really inspiring. I think it is a book that has relevance to most families at some point, and one that I wish I had read earlier. 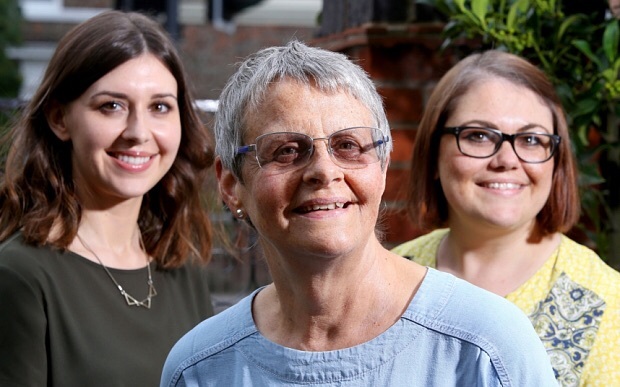 You show us how we can be better friends, neighbours, children or relatives to those who are living with dementia, and equip us to face difficult challenges along the way. You’ve done something very important and special in writing this book and being an ambassador and I hope you continue to live a meaningful life for a very long time. Your love shines through! So well written, a very informative account of your experiences. You have obviously contributed so much to further awareness of this awful disease (to health professionals also). Not just a story but a handbook/manual. I have just read your book ..i am so in awe of you…your passion and postive words have really helped me ..i have been suspecting for some time i may have Dementia ..i have had 2 mini strokes..but could really resonate with alot of your early symptoms ..but i am too scared to go to the doctor ..i have tried to explain but not listened to .. I wish I had read your inspirational book two years ago when the aunt we have been supporting for a number of years began developing signs of dementia. There is so much that resonates and I’d like to thank you for sharing your story and for the many helpful ideas about how to support someone living with dementia. I have passed your book onto my sister and asked her to pass it on once she has finished with it, as the more people who read it the better! Please keep sharing your insights. I hope you don’t mind me saying that I am sure your daughters must be immensely proud of you. Sitting in the sun reading your book I’m marvelling at your gentle yet fierce spirit. No doubt being a single mum helped prepare you for the challenge of living with dementia but you have another beautiful quality which leaps out of the pages of your book and that is optimism. You’re also a genuinely nice person! I am currently reading your book. It was bought for my aunt after her diagnosis, but unfortunately she declined quite rapidly so never read it. I found it invaluable in knowing how to support her but more importantly, how to s upport my cousin who is caring for her. Thank you. I just finished your book. You are such an inspiration and shine a bright light for anyone going through hardship or difficulties. Your courage is inspirational. You are blessed to have such lovely daughters in Sarah and Gemma and in turn they are blessed to have such a wonderful mum.